Finally! 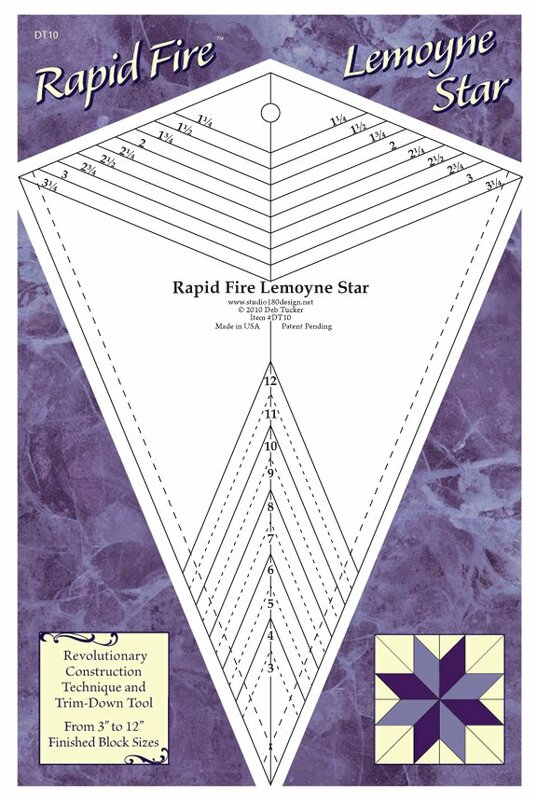 A tool and technique that will allow any quilter to quickly, easily and accurately piece traditional Lemoyne Star blocks in 10 different sizes! The block units are strip pieced, assembled without using any “Y” seams, pieced so that the blocks themselves are slightly over sized so at the end each can be trimmed to an exact size. You can check out the process in our free online video demonstration. 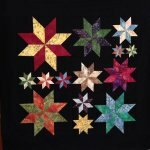 Deb’s step by step directions and Constellation bonus quilt project will have you turning Lemoyne Star blocks out by the dozens. A truly addicting ruler and process. 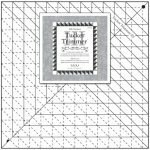 Don't forget to consider the Tucker Trimmer 3 for final trimdown. It's the perfect companion ruler to your Rapid Fire Lemoyne Star - it'll easily handle the final trim for all 10 block sizes. Check it out here! Schedule your Constellation class today!